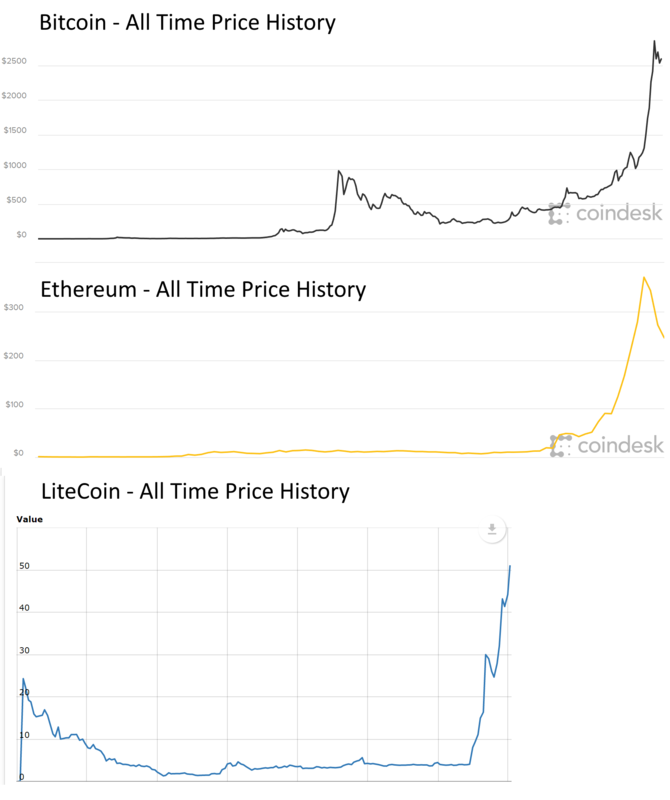 If you’ve been following crypto-currency this year then you know there has been a late 90’s style dot.com spike in prices. The big jump on the end of the graphs has all happened in just 6 months or so. 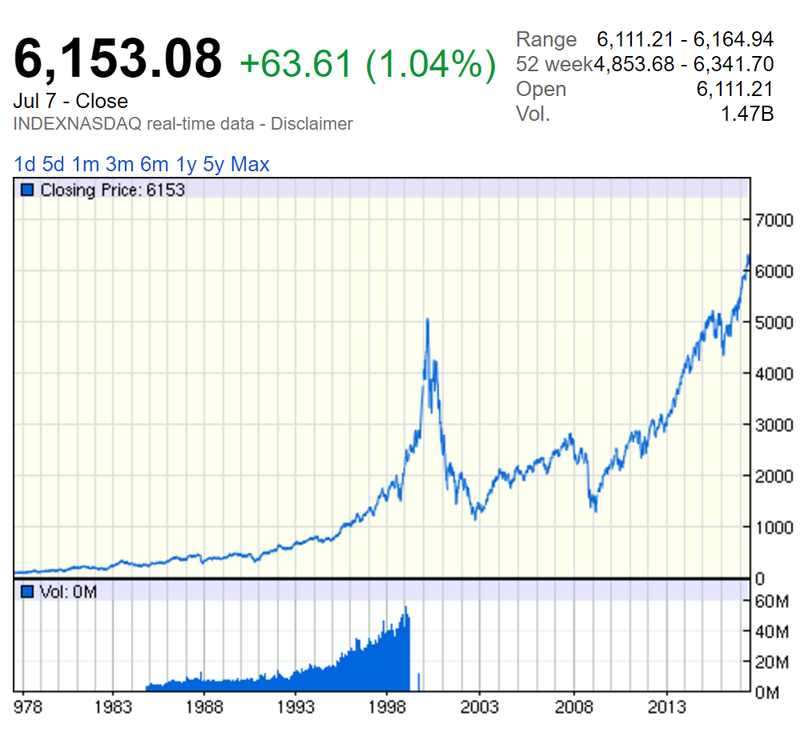 The cliff faces on the NASDAQ look very much like the one’s on these crypto-currencies. It’s impossible to predict the future, but I think in the short term, crypto-currency will face a massive drop. Not because of it’s viability, I think it is the future of finance. 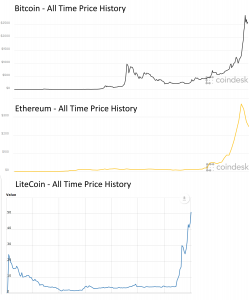 Maybe one of these three crypto-currencies I mentioned above, maybe another or a combination of some. In 2017 there has been an absolute explosion in mining or harvesting of crypto-currency. In order to mine crypto-currency, you must have more and more computing power than the next person (an arms race) in order to compute what is called a hash value. If this hash value matches a specific pattern that is extremely difficult to compute, then the pending transactions on the block-chain or global ledger are validated, and you get a reward of some number of bitcoins, litecoins, etc. in the process. A GPU (graphics card) is exponentially better at calculating the needed hash value than a regular CPU, by at least a factor of 100. GPU prices have risen to ridiculous levels recently. For example, the Radeon 570 has tripled in value. Think about it. If everyone is buying more of the same hardware, the price goes up, making it harder and harder to mine and then the rewards for mining crypto-currency get smaller and smaller for everyone, and either the super big miners with thousands of GPU’s win or nobody wins. I bet AMD is thrilled though. Ultimately I think this explosion in mining will implode on itself. Most people will end up not making a profit because of the fierce competition. 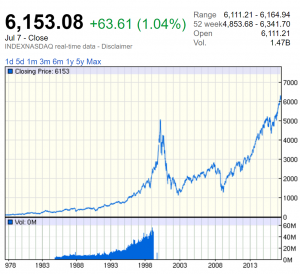 How long this will take is unknown, but I would expect by 2018 for there to be a crash if this turns out anything like the dot.com bubble of 2000. The other option is that it remains steady, or keeps growing even and these crypto-currencies replace all government currencies over the next few decades. If that happens, I would be very fascinated indeed.